"The World’s No.1 Trade Fair for the Food & Beverage Industry"
Annapoorna Anufood India is an epitome of classic Indian food exhibition, focussing on every taste of Indian cuisine, mastered by top-notch chefs and kitchens. The event will reveal the complete spectrum for the food and beverage industry, it leaves its mark as the most important international sourcing trade fair for food and beverage trade, catering and retail market. 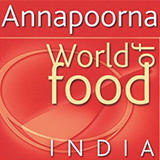 Annapoorna World of Food India, by its increasing quality in the exhibitors and visitors, has paved a way as a most sought-after trade fair in India. The event was excellently managed. Very useful. 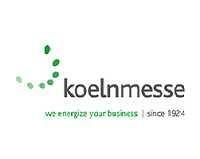 Helped in making good business contacts. Amazing stalls were put up. Very unique and pleasant. sorry, but i did not get the registration online. so i had to fill up the form. very much irritating to stand in queue. Much better than Last 2 years, but again not up to mark. Many of stall holders were not having their products for sufficient for sampling. Should have good security inside the hall. The participants of this show will exhibit the following equipments and services, Alcoholic and Non alcoholic Drinks, Bread and Baked Products, Conserves, Spices, Fine, Health And Baby Foods, Food Additives And Ingredients, Fish, Shellfish and Seafood Products, Frozen Food Products, Fruit and Vegetable Products, Grocery Products, Meat and Poultry, Milk, Dairy and Ice Cream Products, Raw Material, Rice and Rice Products, Sweets and Confectionery.